32 million light years away in the constellation Pisces (Fish) is this beautifully structured spiral galaxy cataloged as Messier 74 (M74). What makes this galaxy special isn’t just its size but also we can see it face-on. Galaxies that we view in this manner offer a great opportunity to study and they allow us to compare aspects like structure and composition to other galaxies to better understand how these star cities evolve. This particular spiral has a beautiful structure with nice thick lanes of dark star forming material throughout. There are also numerous pockets of star formation taking pace as we can see in the pink colored regions all along the spiral arms. Bright blue stars seem to shower the arms as well while at the nucleus, the telltale golden hue of ancient stars give away clues as to its origins. It’s worth remembering that although we see this image today, it’s actually what old M74 looked like 32 million years ago. 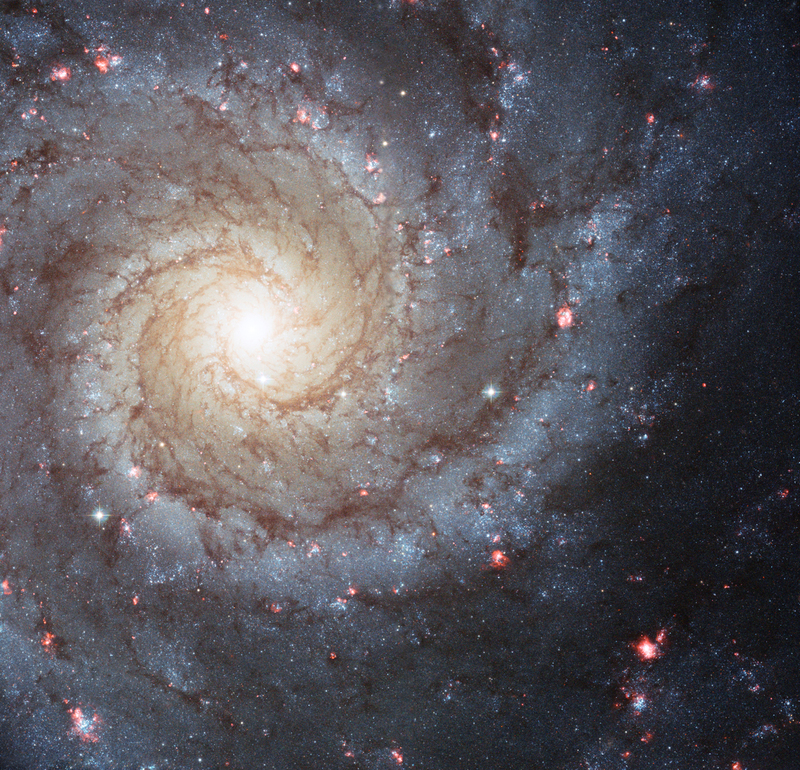 NAME: Messier 74, M74, New General Catalog 628, NGC 628. WHAT IS IT? : Spiral Galaxy. HOW FAR AWAY IS IT? : 32 million light years. HOW BIG IS IT? : 95,000 light years which is close to the same estimated diameter of our Milky Way. APPARENT MAGNITUDE: A pretty dim 10. 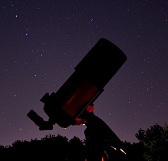 Remember, naked eye visible in very dark skies is around 6 or 6.5 but 10 would still be within telescope range. WHERE IS IT? (General): Constellation Pisces. WHERE IS IT? (Exact RA/Dec J2000): RA 01h 36m 41s.84 / Dec Dec. +15° 46′ 59″.60. Image | This entry was posted in Astrophotography (DSOs), Galaxies, Images and tagged Astronomy, Astrophotography, Cosmology, ESA, Galaxy, Hubble, M74, Messier 74, NASA, Space, Telescope. Bookmark the permalink.